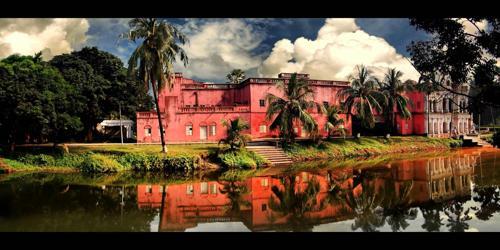 Sonargaon, or Golden City, was the eastern capital of Bengal at various times in history. It slipped into decline when Muslim rulers decided to move their capital to Dhaka in the 17th century, and is now little more than a couple of villages with a scattering of ruins. It was the capital of the ancient kingdom ruled by Isa Khan of Bengal. Bengal is now divided into West Bengal, which is a state in India and Eastern Bengal, which is the nation of Bangladesh. 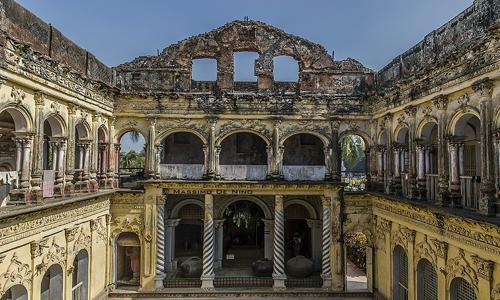 Today, old Sonargaon is home to some of the oldest buildings in Bangladesh. The administrative center of eastern Bengal under the Muslim rulers of Bengal survives at present in the name of an upazila in the Narayanganj district and the ‘golden village’ (its literal meaning) is now a township about 27 kilometers to the southeast of Dhaka. It is difficult to locate exactly the medieval city, but from the extant remains it appears to have embraced a wide tract bounded on the east, west and south by the Meghna, the Shitalakhya and the Dhaleshwari respectively and on the north by the Brahmaputra. The most glorious period of Sonargaon began in 1338 AD when it emerged to have been the capital of the earliest independent sultanat of Bengal founded by fakhruddin mubarak shah. Sonargaon continued to maintain this status till the fall of the house of Fakhruddin in the hands of shamsuddin iliyas shah in 1352 AD. From that time onward down to the coming of the Mughals, Sonargaon had been a provincial metropolis except for a period of its rise to the seat of the independent rule under ghiyasuddin azam shah, and capital of the Kingdom of Bhati under the house of isa khan Masnad-i-Ala. Bara Sardar Bari. 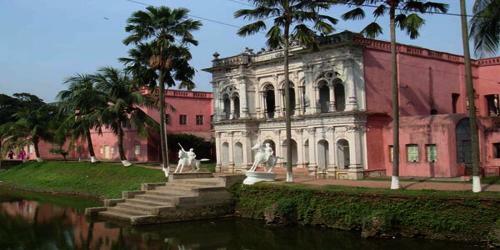 After the fall of musa khan (1611) in the hands of the Mughals, Sonargaon lost its political pre-eminence, and survived as the headquarters of one of the sarkars of Bengal subah. With the establishment of Mughal capital at Dhaka, the city of Sonargaon must have fallen fast into decay. Sonargaon’s importance in the pre-Muslim period is borne out by its ancient name of Suvarnagrama, from which it is obvious that the Muslim version of the name is derived, and by the existence of Langalband and Panchamighat, the two traditional holy bathing places of the Hindus, in this tract of land on the west bank of the old Brahmaputra. Suvarnavithi, mentioned in a 6th century land grant, the Ghugrahati copper-plate of Samacharadeva, has been taken to denote this area. The capital city of Sonargaon, obviously of Hindu origin, was situated on the northern bank of the Dhaleswari, close to the confluence of the Dhaleswari and the Sitalakshya, and also close to that of Old Brahmaputra and the Meghna. The site of the city is lying about 27 kilometers almost southeast of Dhaka city. The area now known as panam in Sonargaon, about 2.5 kilometers to the north of the Dhaka-Chittagong highway at mograpara point, is said to have been the site of the capital city during the Hindu rule. Mograpara on the bank of the Menikhali is presumed to have been the main site of the Muslim capital city. Today, many people still visit the historic city of Sonargaon. They are attracted by its immense beauty and by the ruins of buildings and relics that date back to the era of Bengal. The Goaldia Mosque is situated in the Goaldi village and is a wonderful example of an ancient Sonargaon building. The Folklore Museum is another attraction, which is visited by many. The Folklore Museum of Sonargaon houses a variety of artifacts from all over Bangladesh, representing the many cultural groups that exist in this country.